How Do I Know If I Need an Interior Designer? What are the Steps to Finishing a Basement? Do I Need Replacement Windows? Thinking of adding a room to a house? Congratulations! Room additions are one of the best ways to customize your house so it feels more like home. We understand that home additions are an investment, which is why we want to make sure you have all the facts you need to make an informed decision. Your first step should be to hire one of our contractors in Oakland County, Michigan. Continue reading to learn how to plan a home addition. For more information, don’t hesitate to request a free consultation with one of our home addition contractors in Oakland County, MI. Our home addition contractors will be able to walk you through the process of adding a room to a house. Whether you’re interested in a bedroom addition or bathroom addition, you can trust our years of experience. We can help you add square footage and value to your home. Local codes prohibit you from building too close to your neighbors. For this reason, you’ll need to verify the location of property lines, as well as where utilities are buried. Our room addition contractors will need this important information to ensure your home addition is code-compliant. We encourage homeowners to compile a wish list of features they want for their new house additions. Your wish list can include anything from a luxurious tub in your bathroom addition to hardwood floors in your new spare bedroom. Try looking for inspiration in magazines, tv shows, and even Pinterest. The more information you can give our home addition contractors, the easier it’ll be to start planning a home addition you’ll truly love. We understand that many homeowners turn to room additions to solve problems, whether it’s increasing living space or improving foot traffic patterns. Having a clear set of objectives in mind while designing your home addition can help you create living spaces that are both beautiful and functional. Our room addition contractors can also help you make sure your addition accomplishes the objectives you have in mind. For example, you may need a bedroom addition so future guests have a place to stay. One mistake homeowners can make is not designing their room additions in the same style as the rest of their house. You want your new room addition to seem like a natural continuation of the rest of your home. Take a moment to look at the different materials used in your home, whether it be luxury vinyl floors or granite countertops. Your new room addition should also complement your current floor plan. 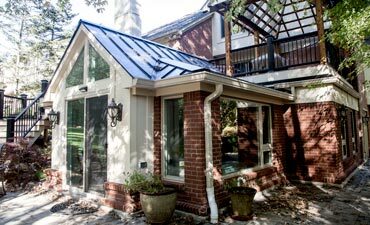 Once you have a good idea of how you want your home addition to look and function, our room addition contractors can help make your ideas reality. Our home addition contractors use their knowledge of local building codes to make sure your new addition is safe and code-compliant. Our home addition contractors can help you crunch the numbers and give you an estimate. We recommend taking your wish list of features and putting them in order of descending importance. That way, you’ll be able to prioritize the most important features of your home addition when budgeting. Our home addition contractors in Oakland County, MI want to help you design and build the house of your dreams. 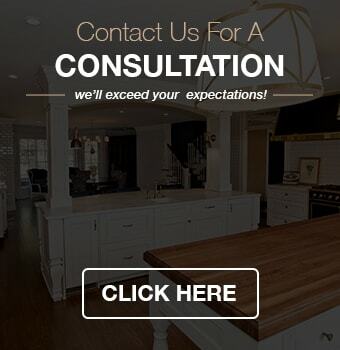 To request a free consultation for a bedroom addition, bathroom addition, or other house additions, call Kastler Construction at (248) 655-5580. Copyright © 2019 Kastler Construction, Inc. All Rights Reserved.